Laser therapy treats spider veins and small surface varicose veins by exposing them to heat through the skin’s surface. The heat does not damage the skin but causes the walls of the vein to shrink, collapse, and eventually heal into scar tissue. Laser therapy can be used alone or as a complement to sclerotherapy for the treatment of spider veins. 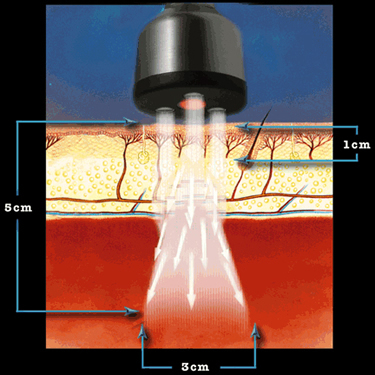 How It Works: A laser is used to target the problem vein and apply heat. The heat from the laser causes the walls of the vein to swell shut, stick together, and eventually heal into invisible scar tissue. 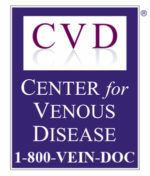 What It Treats: Laser therapy is a treatment for spider veins and small varicose veins. Pros: The treatment requires no downtime, is non-surgical and does not require anesthesia. Cons: Minor skin irritation may result and multiple treatments are often required. Alternatives: Intense pulsed light and sclerotherapy are both alternatives, as well as adjunct treatments. Type of Procedure: Non-invasive, non-surgical and performed in an office setting in about thirty minutes. Some patients experience no pain while others report mild discomfort that abates upon completion of the procedure. Recovery Process: There is no recovery period. Patients may immediately resume normal activities. When the treatment is performed on the face it is recommended to minimize sun exposure for a few days. Results: The procedure has good outcomes for the majority of patients. Repeat treatments spread out over a period of several weeks are usually required. Side Effects: Redness, tenderness and puffiness of the skin are common side effects. They usually last only for a few hours.